Two things I have come across recently that I would like to draw your attention to. The first is Stripe & Stare pants. I have a bit of a problem with knickers in that I find pretty much all of them hellishly uncomfortable except for M&S no VPL low rise microfibre knickers. Which is all very well except they’re not very jolly. They come in black, white and beige. They don’t give me any hassle but neither do they make me smile. My friend Emilie McMeekan who is one of he Midults heard my hungry-bum dilemma and sent my way a pack of Stripe and Stare pants. “I hope they pass the bum test!” she said, or something similar. And they do! And they also look very jolly in my pants drawer, all stripey and also discreetly lacy. An excellent stocking filler for a hungry bum person you might know. I am a size 10 in a pant and took an M.
Look, these Hearts and Stars are cheerful, too! 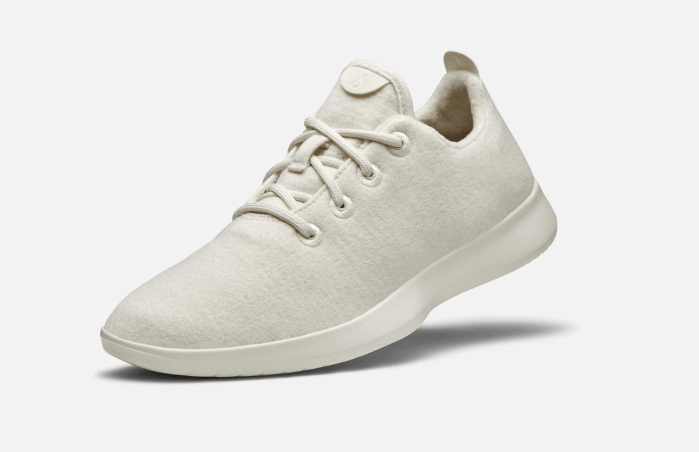 I also went to see Allbirds, which are an eco trainer brand from San Francisco. Now, these aren’t for everyone and I’m not trying to sell them to you, I’m just alerting you to them – because I know that some of you will be really into these. They are also on a big UK marketing thing at the moment and I feel that you might as well hear about them from me first. First of all, they are incredibly comfortable. They come in a choice of upper – either merino wool or eucalyptus tree fibre. Merino wool is soft and snuggly, the tree fibre is light and breezy. You don’t need to wear socks with either shoe because they basically are socks. But you can also wear socks if you like. The moulded sole is also s-shaped, so unlike a Converse you won’t feel every step of the pavement juddering up your spine as you walk along but they are not a technical running-shoe. Yes they have the faint look of a comfortable shoe about them, but no more so than a modern Nike fly-knit. The wool is densely packed, a bit like felt, so while I would not wear mine out in heavy rain, I would say that they are probably a lot more water-resistant than, say, my Aasics. At £95 they are neither super-cheap nor super-expensive. They come in many different colours. Second, there are those eco-credentials. I don’t have full details about how much palm oil and rubber and water and god alone knows what else goes into making a pair of high-fashion trainers, but I bet you a fiver it’s more than goes into making these. I know that for some of you, this sort of thing trumps all else. Plus, they have found a use for wool, which no-one seems to want or use any more. And also eucalyptus, which grows by the tonne and is only otherwise useful in decoration, scented concoctions for when you’ve got a cold – and keeping all those koalas permanently stoned. What a timely post. I’ve been looking at these trainers with Merino wool for ages, not sure if I’m going to look a bit square but now you’ve recommended them I think I’m going to take the plunge. As for knickers … I can’t wear any which have lace round the leg hole. They just irritate and feel scratchy despite having thin thighs so it’s not like I’m squeezing myself into too small pants. So have to resort to non lacey and also no seams. Jules in terms of looking “square” – I hear you but it’s kind of all about your general attitude elsewhere. No they’re not an Air Jordan hi-top, that you could wear with the squarest possible clothes and still look 100%, but worn with care they are less dorky than you fear. I wonder why we are typing VEGAN and SEMI VEGAN in capital letters???!!!! because the thought of it is SO OUTRAGEOUS! Thank god I am not the only one with ‘pant’ issues – I too wear those exact M&S pants – I shall now be investing in stripe and stare – thank you!!! !